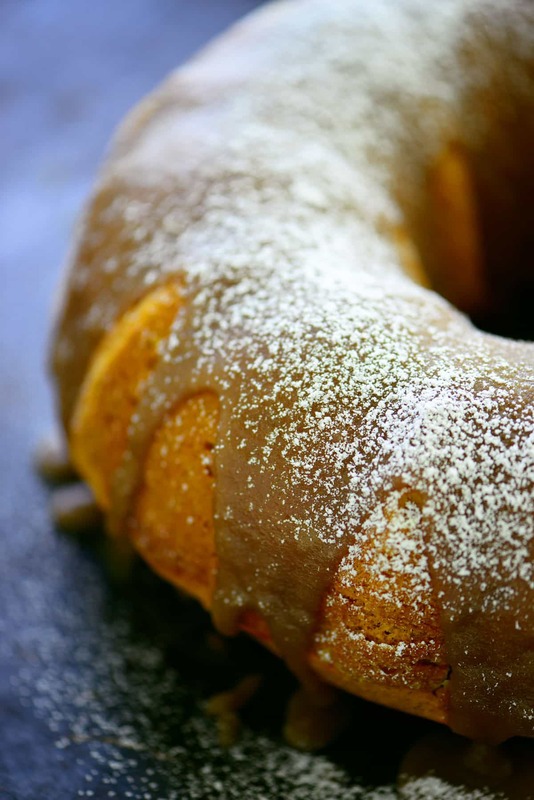 A moist Pumpkin Bundt Cake with a Maple Glaze. 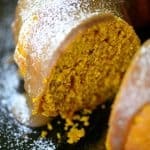 It’s fast and easy to make with pumpkin puree and a cake mix. The bundt pan shape is gorgeous on a cake plate. 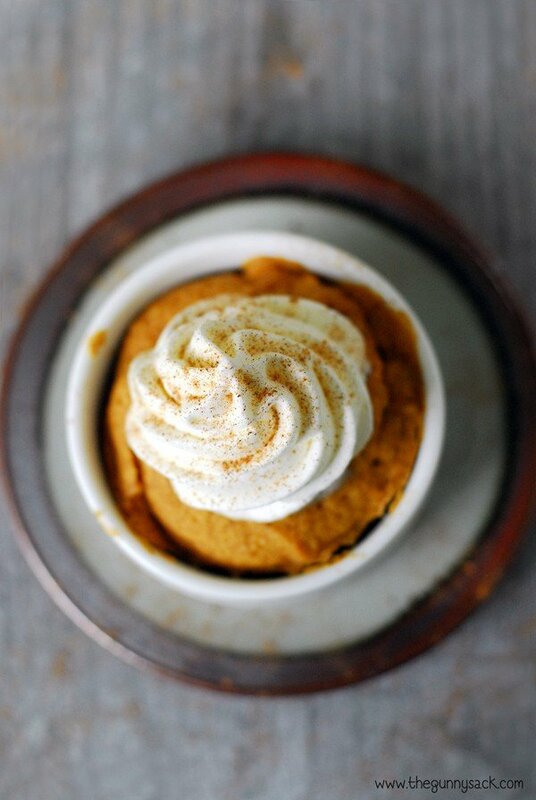 There’s something about the combination of pumpkin and maple that is just perfect! I wanted to make an easy pumpkin cake for fall but not just a basic cake in a 9×13 pan. So, I decided to use a bundt pan for the first time ever on The Gunny Sack. The cake is super easy to make with only four ingredients (not including the maple glaze) but when baked in a bundt pan it looks pretty. Then when you add the maple glaze and sprinkle it with powdered sugar, the cake looks fancy! 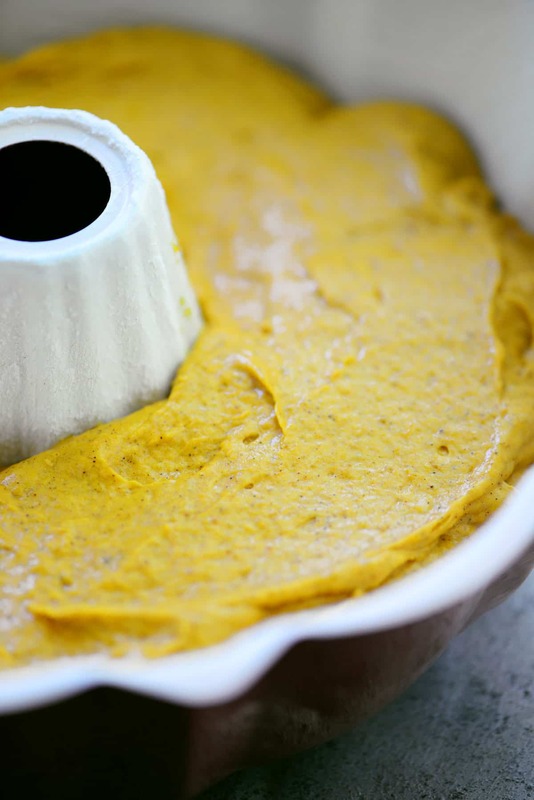 First, beat the eggs and then add the cake mix, pumpkin puree, and pumpkin pie spice. Stir for thirty seconds and then beat for two minutes. Scrape into a well greased and floured bundt pan and spread out evenly. 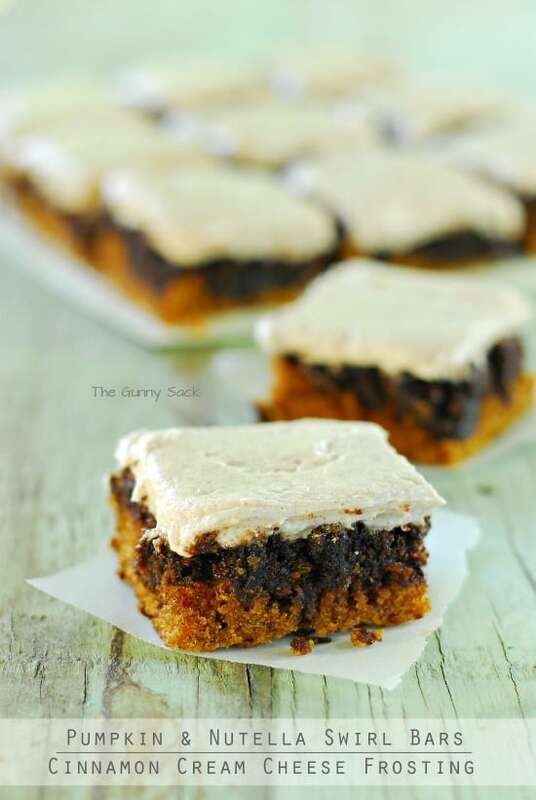 Bake at 350°F for 32-37 minutes or until a toothpick inserted into the center cake comes out with only a few crumbs. Allow the cake to cool in the pan on a wire for about 15 minutes before inverting onto a rack to cool completely. Heat butter, sugar, and water in a saucepan over medium heat, stirring often until the butter is melted and the sugar is dissolved. Do not bring to a boil, so turn the heat down as needed. Remove from heat and stir in maple flavoring. Allow the glaze to cool and thicken for a bit if desired, stirring often. 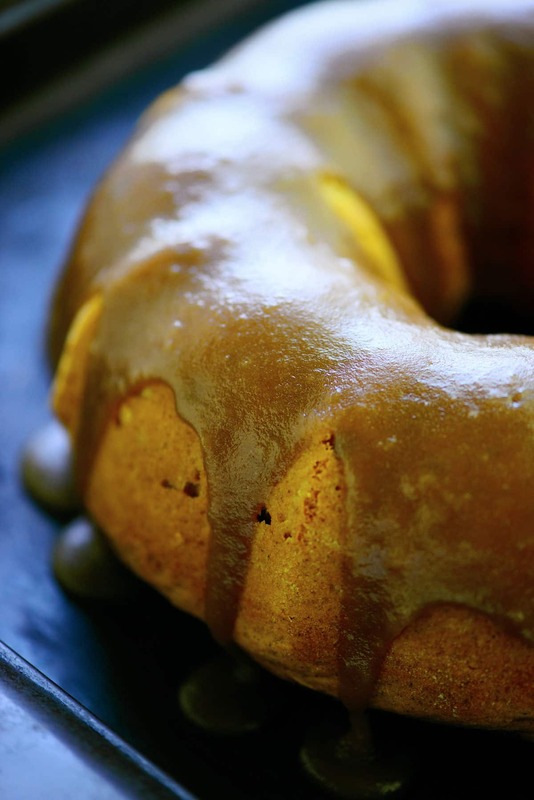 Slowly pour the maple glaze over the pumpkin bundt cake. 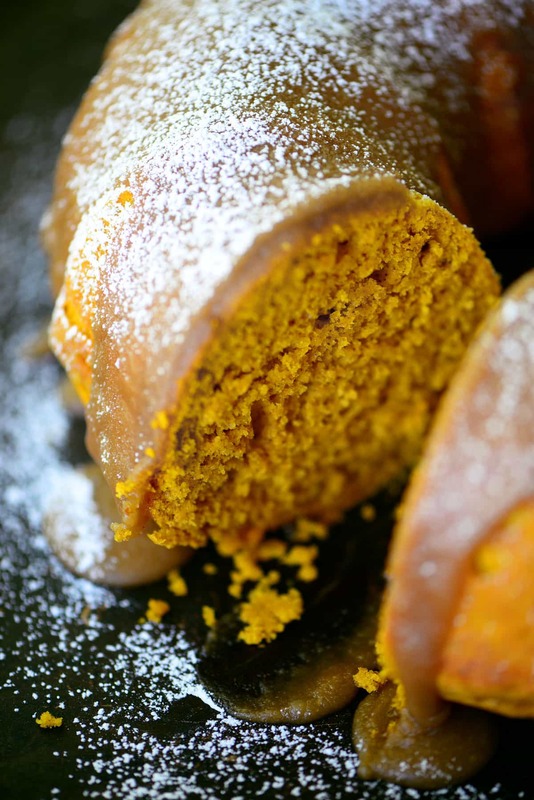 Sprinkle the pumpkin bundt cake with powdered sugar before serving. This step isn’t necessary but it makes the cake look pretty! If you sprinkle it with powdered sugar right away, it will disappear by the time you serve the cake. 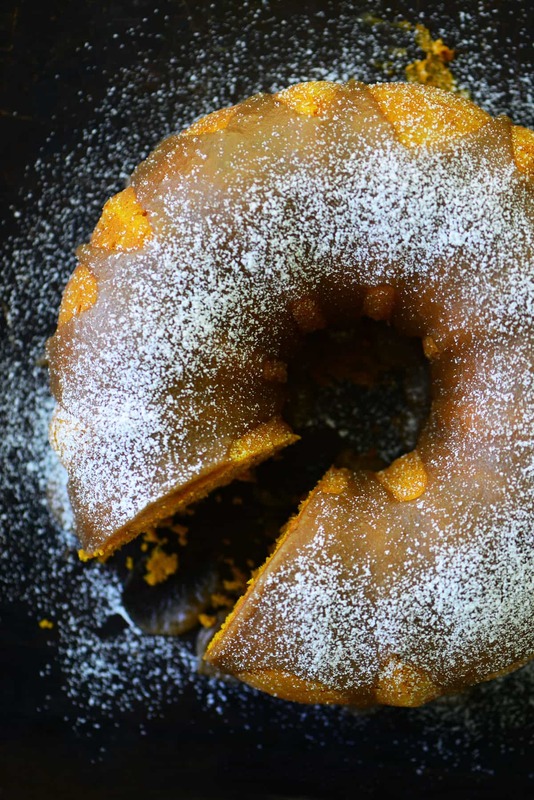 I’ve already made this Pumpkin Bundt Cake with Maple Glaze a couple of times this fall and everyone, from the two-year-olds to the forty-year-olds loved it and wanted another slice! 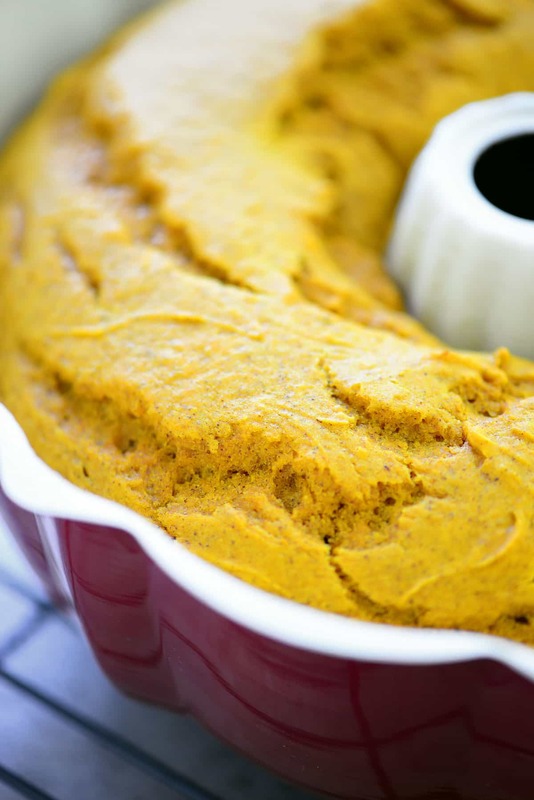 Beat the eggs and then add the cake mix, pumpkin puree, and pumpkin puree. Stir for thirty seconds and then beat for two minutes. Scrape into a well greased and floured bundt pan and spread out evenly. Bake at 350°F for 32-37 minutes or until a toothpick inserted into the center cake comes out with only a few crumbs. Allow the cake to cool in the pan on a wire for about 15 minutes before inverting onto a rack to cool completely. 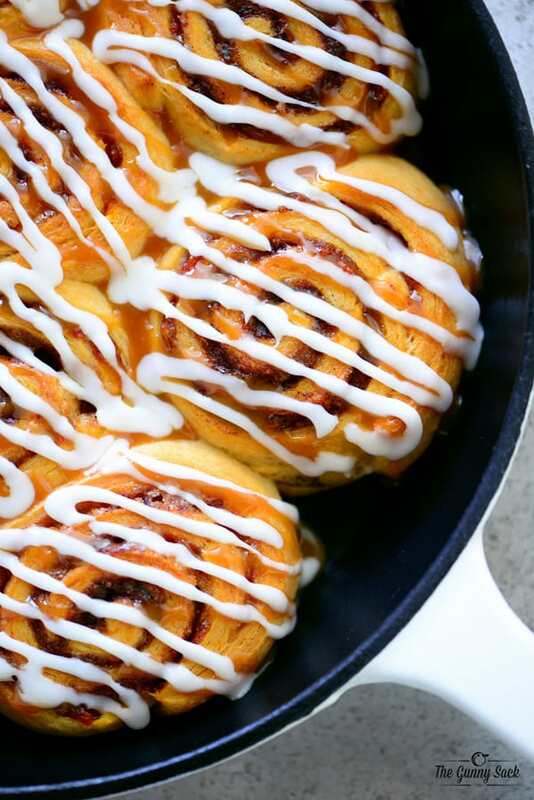 Top with maple glaze (recipe below). Sprinkle with powdered sugar before serving. Store in the fridge. Heat butter, sugar, and water in a saucepan over medium heat, stirring often until the butter is melted and the sugar is dissolved. Do not bring to a boil, so turn the heat down as needed. Remove from heat and stir in maple flavoring. Allow the glaze to cool and thicken for a bit if desired, stirring often. Slowly pour the maple glaze over the pumpkin bundt cake. Powdered Sugar Glaze: You can make a powdered sugar glaze instead if you prefer: Mix together 1 cup of powdered sugar, 2 tablespoons of milk and 1/2 teaspoon of maple flavoring (or use vanilla extract if you don’t want the maple flavor). This looks like a wonderful cake. Could you use powdered sugar for the glaze? You can make a powdered sugar glaze instead if you prefer. Mix together 1 cup of powdered sugar, 2 tablespoons of milk and 1/2 teaspoon of maple flavoring (or vanilla extract if you don’t want the maple flavor). Made it. Cake is wonderful but I am having a problem with the glaze, no matter how long i heat it, the sugar won’d dissolve 🙁 my daughter heated it for 10 mins, cooled it but it was crunchy so I reheated it. What am I doing wrong?! I wanted to bring it to a good-bye we are attending for a friend, but….. I collect bundt cake recipes. This one is sure to be a winner! BTW, could you please use black ink color instead of the light grey, please? 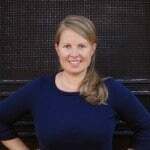 Older eyes have a very difficult time seeing the light colors. I hope you consider this. Thanks!